Have you ever wanted to celebrate the holiday season with a skosh of Doctor Who? Well, now you can! Or at least you can celebrate with the Doctor's main enemies, the Daleks. 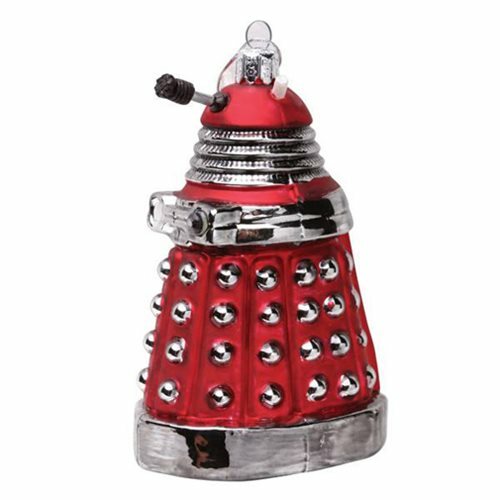 Just order this incredible Doctor Who Dalek Drone Ornament! And don't panic. Maybe Doctor Who will show up and save the day! This unique decoration measures about 5-inches tall and is made of glass. Ages 14 and up.